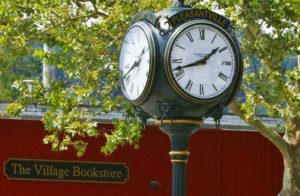 Pleasantville is a village in the town of Mount Pleasant, in Westchester County, New York. The village population was 7,019 at the 2010 census. Pleasantville is home to a campus of Pace University and to the Jacob Burns Film Center. Pleasantville was the original home of Reader’s Digest, which still uses a Pleasantville postal address. Location, location, location—any real estate professional will tell you that, when it comes to property, those are the three most important words to consider. And location is just one of Pleasantville’s many wonderful attributes. Located 31 miles north of Manhattan’s Grand Central Terminal and situated almost squarely in the center of Westchester County, this quaint, family-friendly, and culturally rich village, with its picturesque “Old Village” and verdant parks and open spaces, is home to nearly 7,200 residents. Easily accessible to both Northern and Southern Westchester via a number of highways and main roads, including the Saw Mill, Sprain Brook, and Taconic Parkways, as well as Routes 9A and 117, Pleasantville, one of Westchester’s oldest communities, settled in 1695, is a commuter’s dream. The close-knit community offers an artsy yet amiable vibe, and is teeming with cultural and artistic amenities—including the popular Jacob Burns Film Center and its brand-new state-of-the-art education center, and the Frank Lloyd Wright-designed residential enclave Usonia, on the outskirts of town bordering Armonk—as well as gorgeous architecture; lots of great shops, boutiques and restaurants. For more information on Pleasantville please Click Here.